It’s freedom, but not Scientific. XUL + XBL XML User Interface Language XML Binding Language Fließen zurück ins W3C. HTML5 Audio/Video No Flash! Bessere Barrierefreiheit. 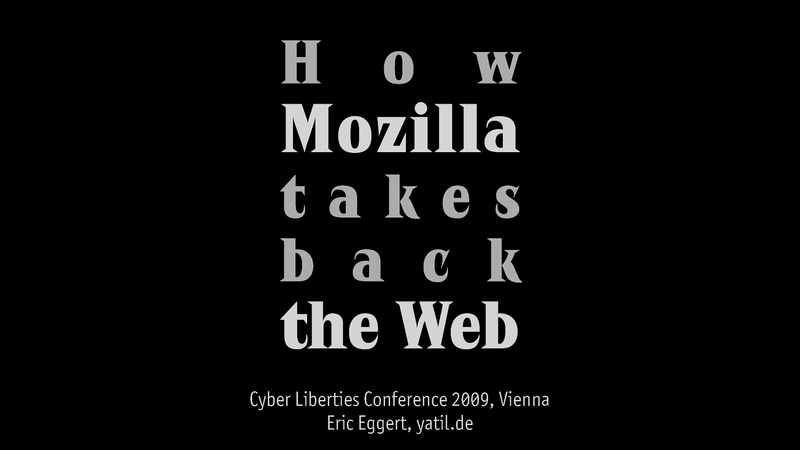 View How Mozilla takes back the web.